Home How to How to any Android device Root on Root Genius. How to any Android device Root on Root Genius. Hi friends today we share about Rooting any device of Androids smart phone or tablet. Root Genius is one click root tool for designed to work on Windows computer. It’s very helpful to root any Android device or tablet working by a single click. 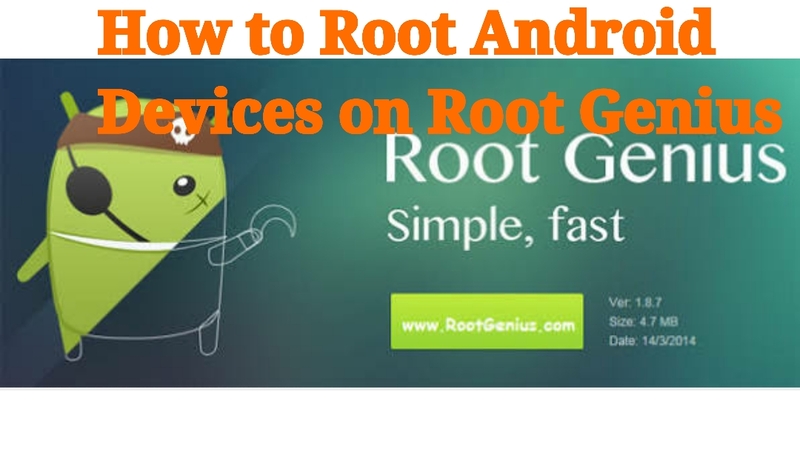 Here, we go to guide how to use Root Genius to root any Android smart phone. If you want to root your Android smart phone or tablet to make your device is faster, the battery life is incrrease, and able to run more apps. Otherwise the rooting is harmful for your smart phone. Keep in mind void the warranty in your smart phone. Backup your data before the rooting smart phone. Requirements: If you are using any Antivirus Application on your computer, first of all disable it and then follow the below guide ness. Step are here for using Root Genius. Step 1: Enable USB Debugging on your Android device . To enable USB debugging, Open Settings > Developers Option > USB Debugging > and then Enable. (The Developers Option is hidden Android 4.2.2 or above, if you show this option, Go to Settings > About Phone > Built Number (Tap the build number for 5-8 times). Step 2: Download the Root Genius Application on your Windows Computer. Step 3: launch Root Genius application and then connect your android smartphone to computer. Note: The Debugging Mode should be ON, while Connecting your device. Step 4: If the Smartphone connected successfully to the computer then Root Genius detect your smartphone automatically. Step 5: And then click on the “Root Now” button to proceed the Rooting process. Step 6: Now Root Genius Root your Android device automatically and install the KingUser app. Step 7: Now your Android Device is Rooted. To check your Smartphone is Rooted correctly, Open the Application Menu there you will be able to see a new app “KingUser” on app drawer.